With winter winding down (even though it doesn’t seem like it right now), you’re probably dreaming of your backyard oasis or cottage retreat. 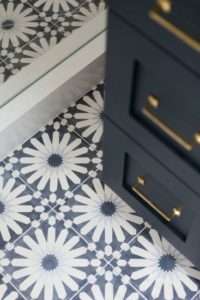 Before you get your foot out of the door, take a step back to freshen up your bathroom, you’ll appreciate it during the warmer months. 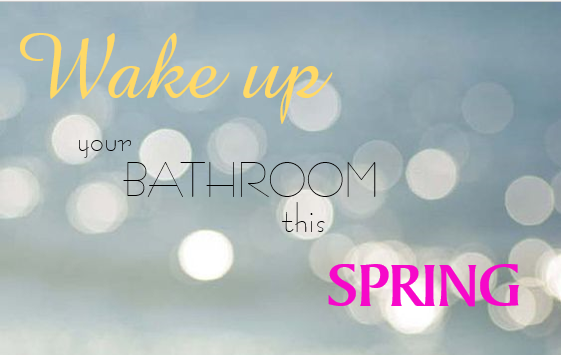 Spring is a great season to freshen your home up, we’ll share some tips to quickly update your bathroom. Applying a fresh coat of paint, or wall paper, in your bathroom will brighten up your space, as well as your mood. 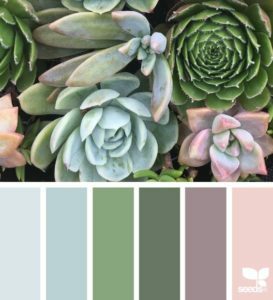 Colours inspired by nature are trending this year, which makes the options virtually endless. If you like the current colour of your bathroom, try hanging some art or adding a window treatment. Don’t be afraid, just go for it! A patterned tile, wall paper, or artwork can add a little drama to your bathroom. You can wow your guests and make your bathroom look like it’s straight out of a magazine. Towels, bath-mats, art, plants…. There are so many ways to add texture to your bathroom. Texture adds dimension and interest into a space. 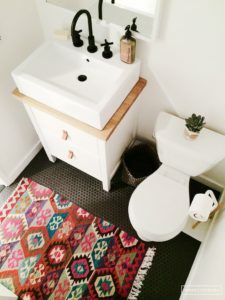 Have you ever considered using a small area rug in place of your bath-mat? It’s a little trick designers like to use to add a bit of a wow factor. These quick, easy, inexpensive tips are sure to help you freshen up your bathroom this Spring. Enjoy! Explore Your Options. Shop Now! Discover the parts and accessories available from Aqua-Tech. Shop online now!